The schedule only contained one class on Saturday. 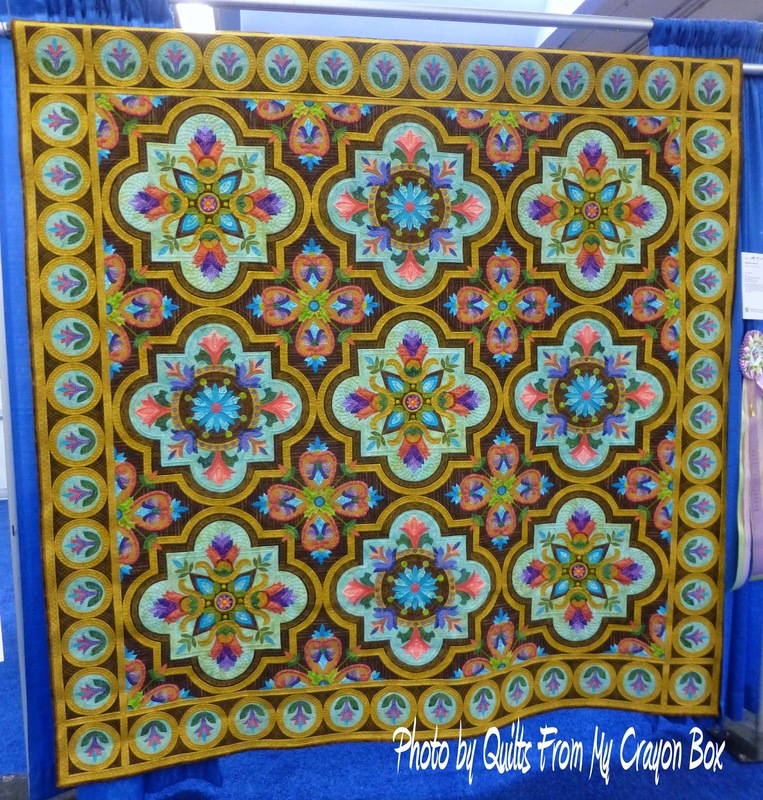 It was Kim Stotenberg's Heavy Metal Quilting. 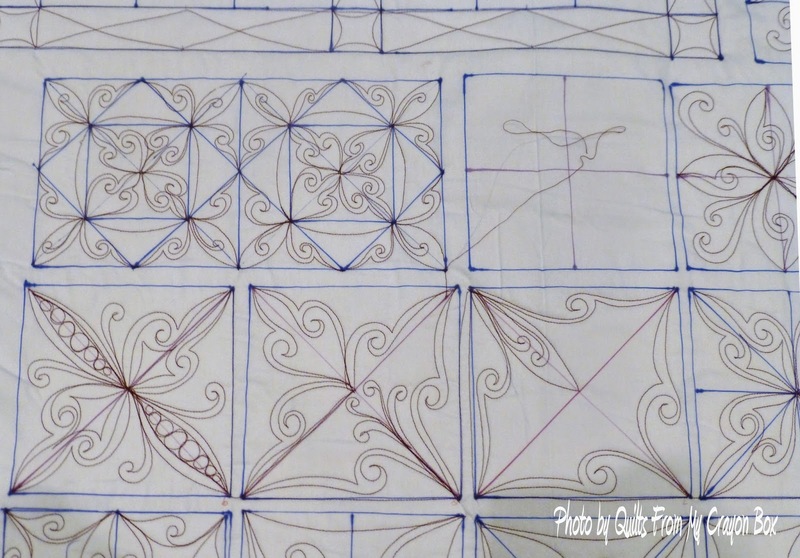 I didn't take many photos in this class but I think you can get an idea of what it was about. 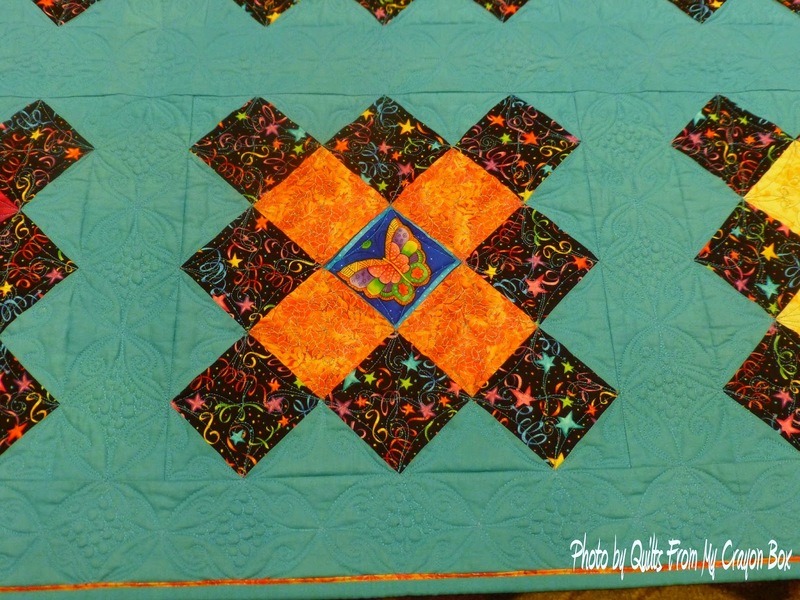 You can see the quilting pretty well in the yellow areas. Doesn't it look like wrought iron? That was the focus of this class. Here are a few shots of the demo sample that she did. I actually did remember to have someone snap a photo of me with the instructor this time. 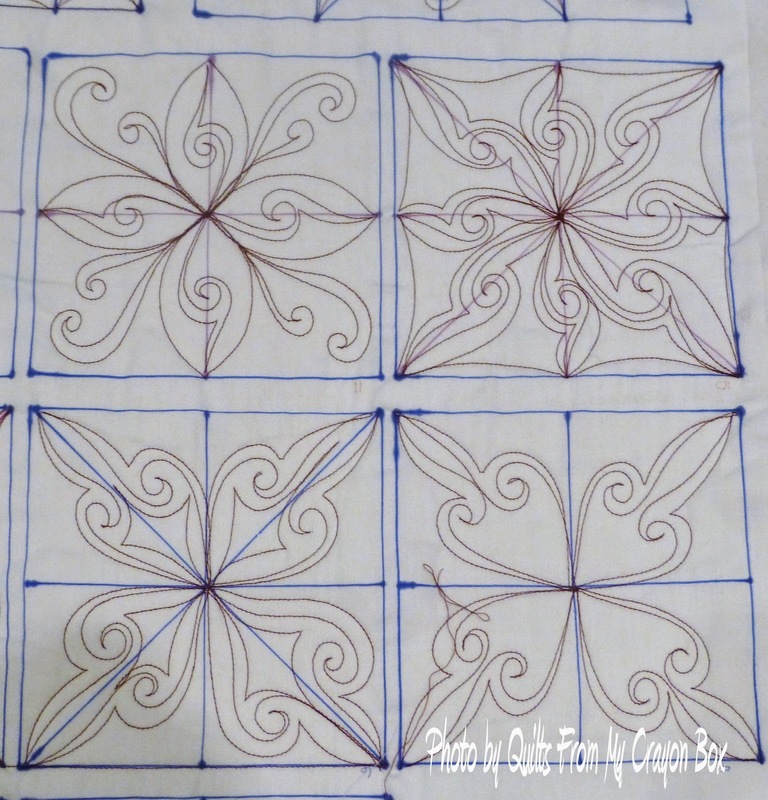 And here are the last few photos of the quilts that I'm sharing with you. I took this photo for my friend Barb of Cat Patches. 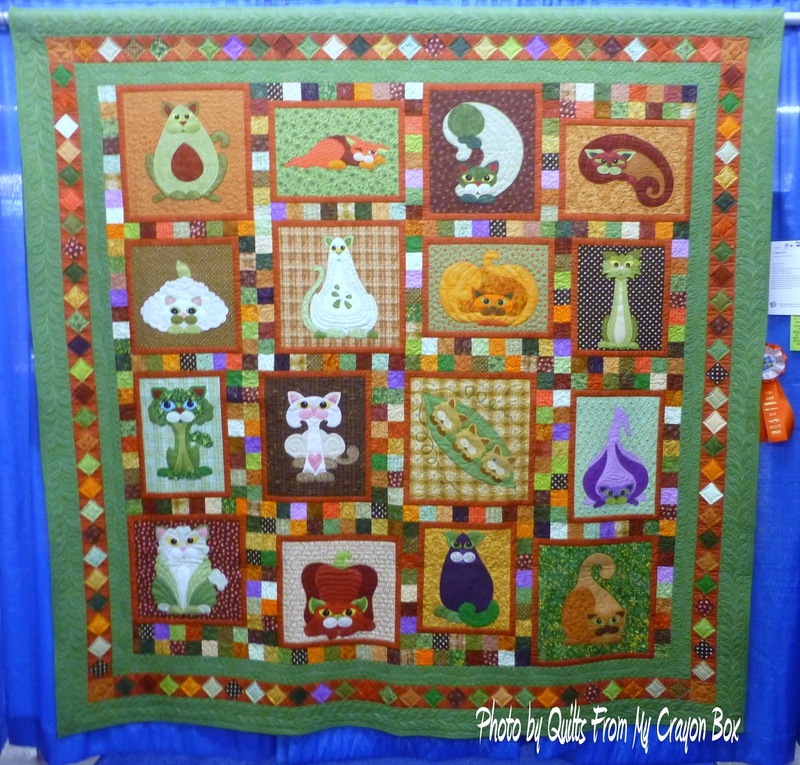 Veggie Cats, Winner of a Faculty Ribbon from Kimberly Einmo, pieced and quilted by Linda Bauman. 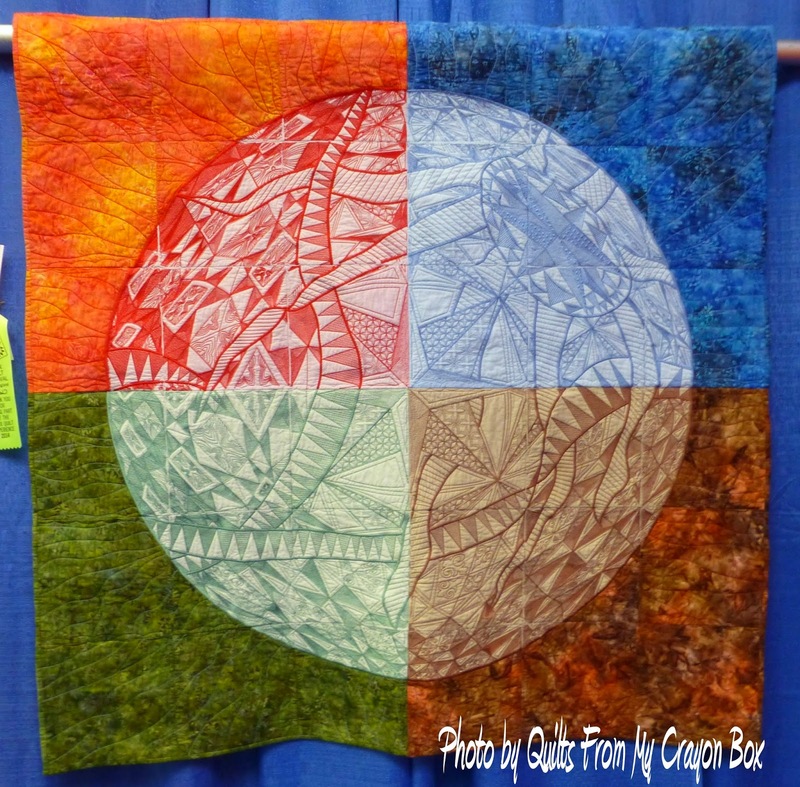 Four Seasons Whole Earth Festival, pieced and quilted by Susan Bowker. And then there is the biggest winner of all - Best of Show. 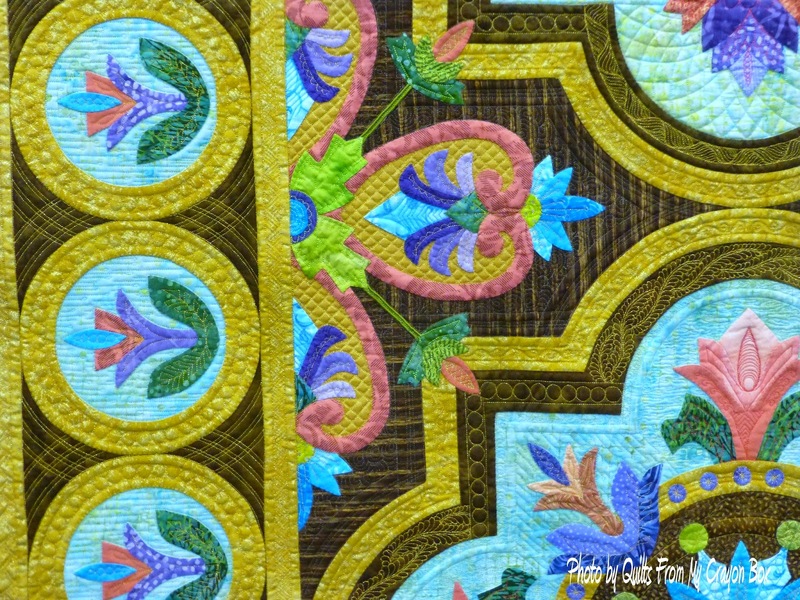 This stunning quilt is called Magnificent Mosaics and was pieced and appliques by Karen Kay Buckley and quilted by Renae Haddadin. 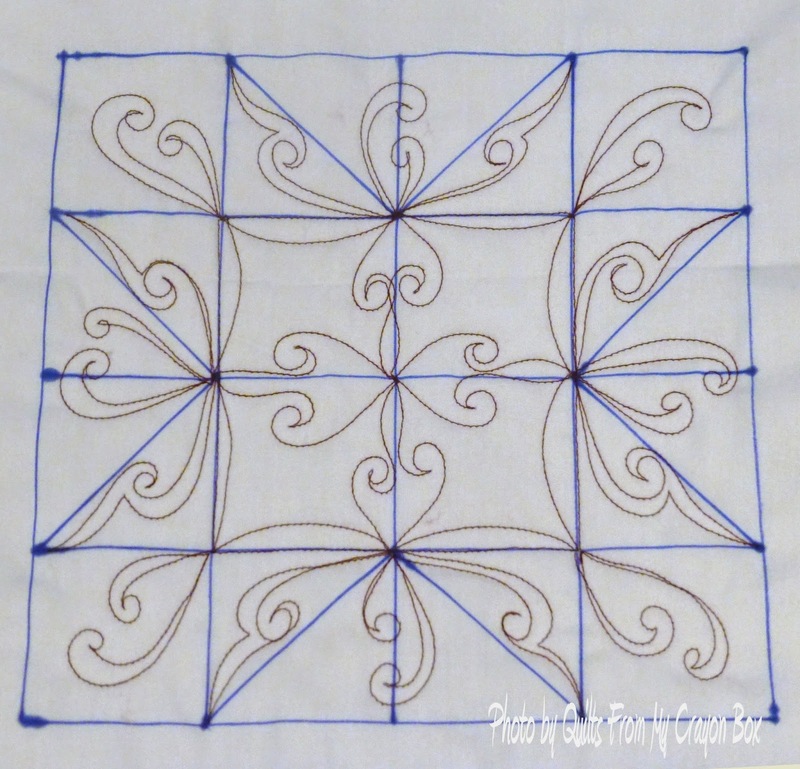 Can you believe that this is the back of the quilt? Well that is all folks. 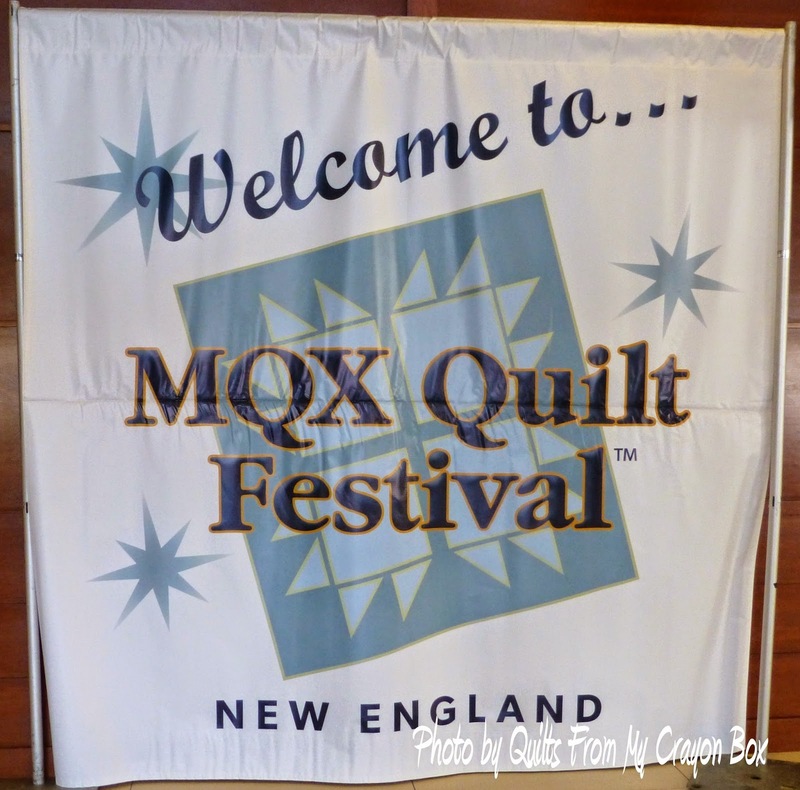 So long MQX East...until next year. 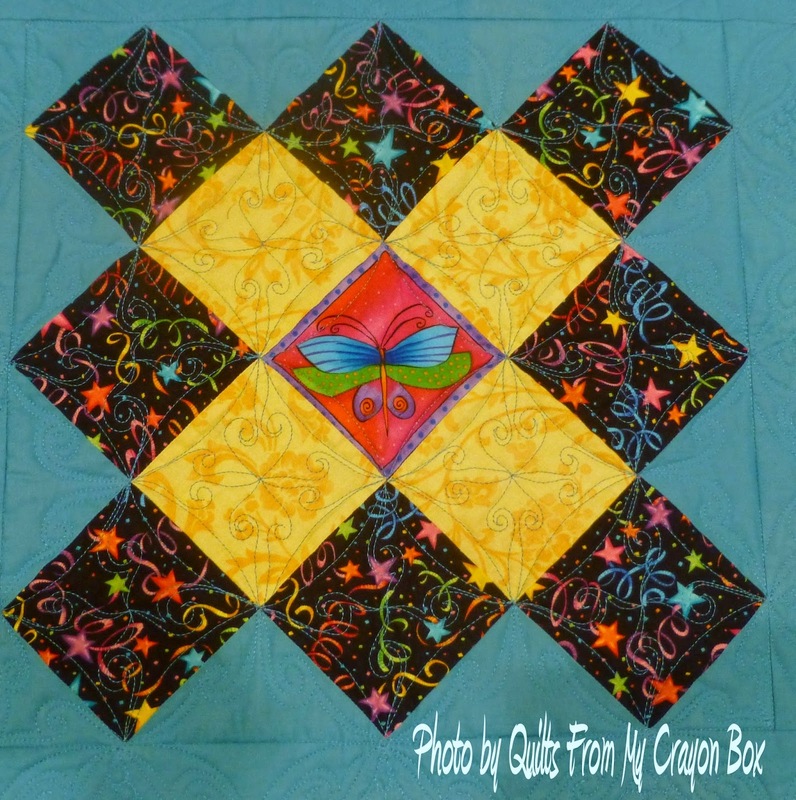 That last quilt is amazing! Looks like you had a great time. Very nice series of posts. Thanks for sharing. 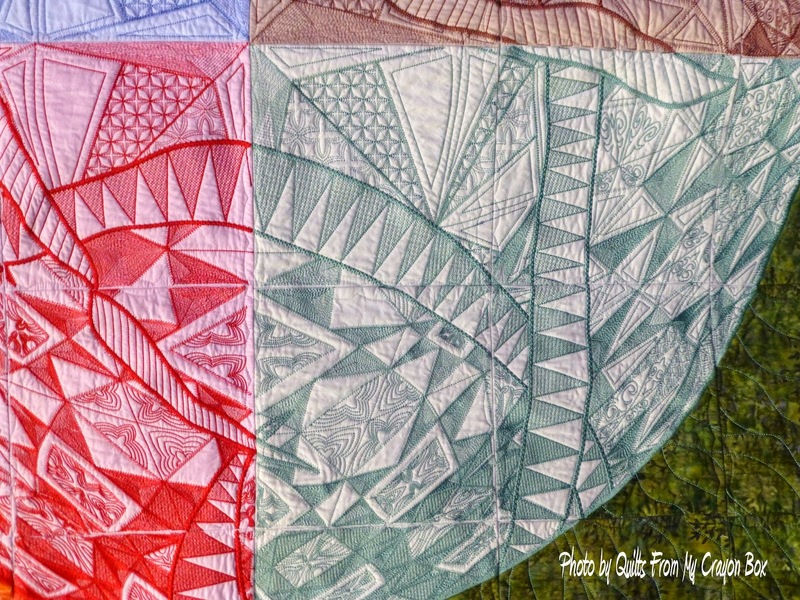 Love the zentangles they quilted on that whole Earth quilt! I enjoyed seeing this glimpse of the MQX show. Thank you! 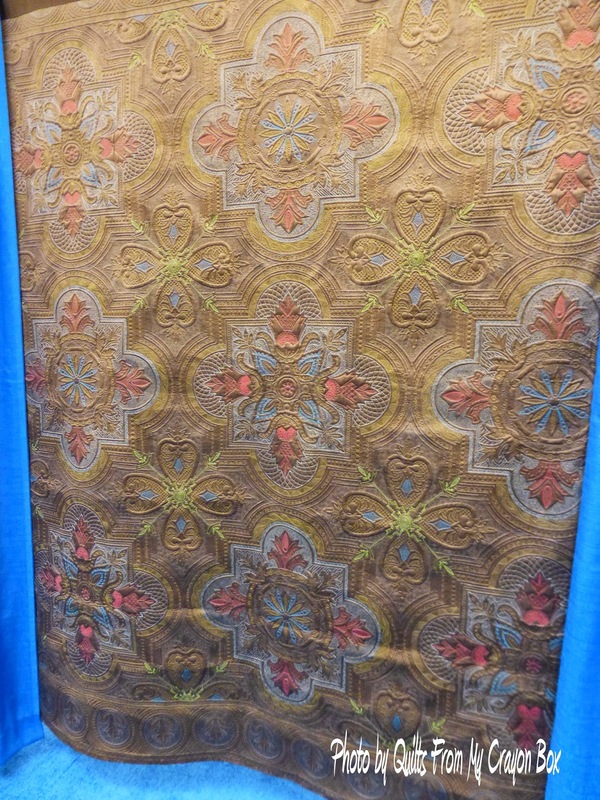 I had a quilt displayed at the show, and heard later that the competition was stiff. The Best of Show winners deserved their award!